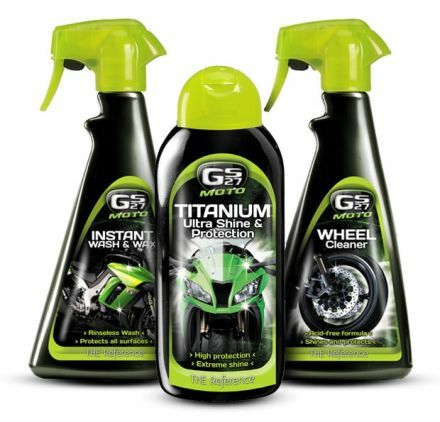 Check out our Moto Care kit for your bike care, cleaning & washing that includes an instant wash & wax, a wheel cleaner and a Titanium ultra shine protection. Easily & quickly clean & wash your vehicle to make shine as on day 1. 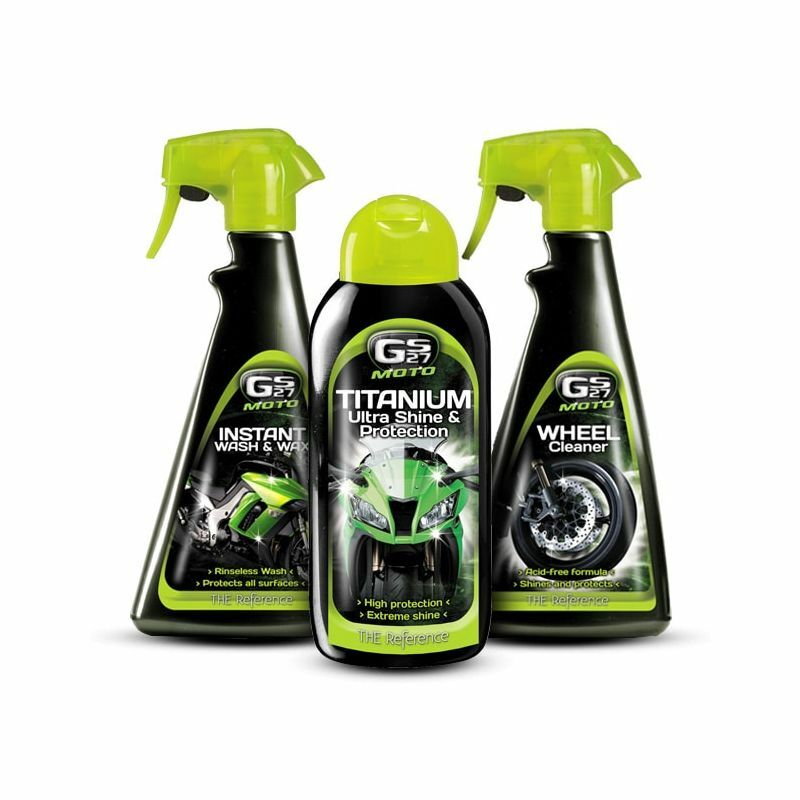 The GS27® Moto Wheel Cleaner effectively removes all dirt and brake dust residue from the wheels: - Acid-free formula: no risk of damage to the wheels. - Compatible with all types of wheels (aluminium, painted, varnished etc.). 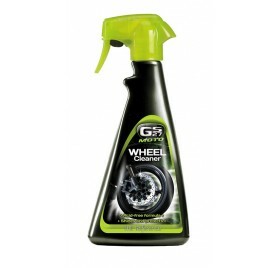 - Protects the wheels from getting clogged up with dirt. - Rinsing optional. For all types of wheels (aluminium, chrome, painted, varnished etc.). 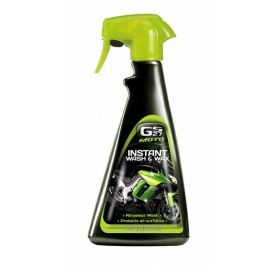 For an ultra-shiny finish, use the GS27® Moto Instant Wash & Wax after cleaning. 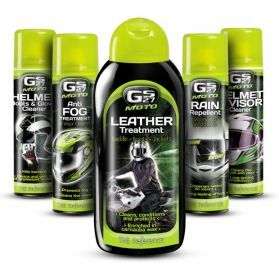 The GS27® Moto Titanium® Ultra Shine & Protection is enriched in titanium dioxide to bring high protection and extreme shine to the paintwork: - Renews and polishes the bodywork. 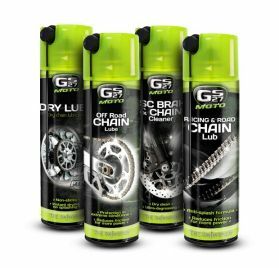 - Concentrated in titanium microparticles which create a protective barrier on the paintwork against UV rays, salt, rain etc. - Leaves an anti-static, water-repellent film. For all types of paints (except matt paintwork) and all colours. Ideal for varnished plastic parts of the motorbike: windshield, mudguards, rear-view mirrors. Do not use on unpainted plastics and leather. With this product, you earn 30 loyalty point(s). 30 point(s) = $1.50.